Over 100 years ago, a mysterious object was discovered in an ancient Roman cargo ship thought to have sunk over 2000 years ago in the Aegean Sea. Uncovered by an unsuspecting diver named Elias Stadiatos out hunting for sponges, an entire ancient shipwreck was uncovered near the coast of Antikythera Island in the Aegean Sea. The ship was Roman in origin and was believed to have sunk around 60 BC. Contained within the wreck was an impressive wealth of objects including jewellery, statues - even a set of life-sized horses, four in all, carved out of exquisite marble. A life-sized bronze spear was found as well, and researchers believe this to belonged to a bronze statute of a man who would have been positioned riding the chariot which the marble horses would have once been attached. Among the many valuables, divers in the initial 1900 expedition also brought up a mysterious object, about 20 centimetres tall, severely calcified and rusted over. The object was brought to the surface an immediately disintegrated into three pieces. Not a soul on the expedition had an inkling as to what they had uncovered that day, and the unidentified object was catalogued with the rest as simply a part of an ornamental statue. Fast forward two years later, when a Greek historical expert noticed the Greek words for ‘sun’ and ‘Aphrodite’ etched onto its ancient surface. Debate continued for fifty years as to what hidden function the object could possibly contain until physicist and science historian Derek de Solla Price published his findings on the device in the Scientific American Magazine. In the article, Price declared that the object was no less than the first example of a computer, defying similar declarations of technologies dated over a thousand years later. After extensively studying the device, Price reasoned that it was a mechanism for calculating and predicting the positions of the five known planets (at the time) of the solar system. Powered by a single hand crank, the device could be wound up and display an entire universe at work. It is now theorized that there are up to 60 working gears present in the complete mechanism - one of these gears with about 223 notches would have taken its maker approximately 30 minutes according to one expert historian engineer who actually made their own working Antikythera Mechanism based on the samples provided and the working knowledge of the devices functions. So what was such a valuable unique Greek invention doing aboard a Roman cargo ship? There are many competing theories, some of which are more romantic than others. One in particular favoured by Dr Brenden Foley of the 2014 expedition. Foley suggests that the boat was transporting a bride of importance across the Aegean Sea, aboard a ship filled with gifts for her marriage family, when tragedy struck. The impressive collection of valuables could easily be interpreted as dowry gifts to be presented by the bride’s receiving family, and there was an ancient female skeleton recovered to further support his idea. Foley’s team had a $1.3 million dollar pressurized Hublot exo-suit for exploring the depths of the Antikythera wreck, and began by sending a robot down to explore the surface of the sea and map the area of the wreck. One of the devices was a metal detector with the purpose of gauging how large the wreckage site is. It turned out to be much larger than previously thought, more than two and a half acres squared. Many parts of the ship were recovered during the mission including a bronze rigging ring and enormous anchors among priceless pieces of sculpture and jewellery artifacts , as well as a curious invention that was proposed to have been a defensive measure against pirates. Interestingly, the team discovered a second wreck close by the original, another ancient cargo ship, however nothing as precious as the Antikythera Mechanism was ever recovered from it. Another theory is that the cargo ship was bound for Rome to supply the elite with a plethora of valuables from across the mediterranean. 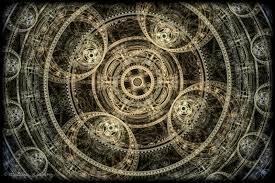 But how the mechanism came into Roman hands still remains a question of mystery. Some theorize that the device was seized from a Roman raid of Syracuse during a time of revolt. The home of legendary mathematician and philosopher Archimedes was violently assaulted and many valuable inventions were stolen and the legendary man slaughtered accidently in the process, despite direct orders to spare the ancient genius. The legend continues, and regardless of who made it or how it found its way to the bottom of the Aegean Sea, the Antikythera Mechanism remains a wonder of the ancient Greek world.